Fida Abbott's Books: ABBOTTSBOOKS: Save 18% On Any Order! 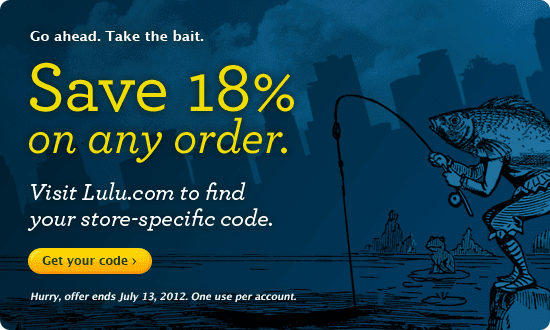 ABBOTTSBOOKS: Save 18% On Any Order! Hurry up! Go to Lulu.com homepage! They will have the name of a savings coupon that you can add to your cart to save if you buy the books/e-books listed below. This promotion ends Friday, July 13 at 11:59 PM. They reserve the right to change this offer at any time. Coupon codes are unique to each Lulu.com country store. Have a nice shopping and have a nice summer!